Christy was born and raised in New Albany, IN. She currently resides in Borden, IN with her husband and two boys. 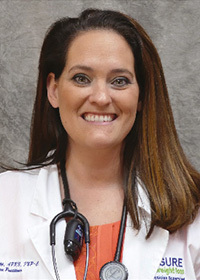 Christy obtained a bachelor’s degree from Indiana University Southeast and holds two master’s degrees in family practice and women’s health from University of Louisville. Christy enjoys helping people achieve their health goals and maintaining a healthy lifestyle.